Free Moody Blues 'Nights in white satin' guitar tab . Simply one of the ultimate songs of all time . 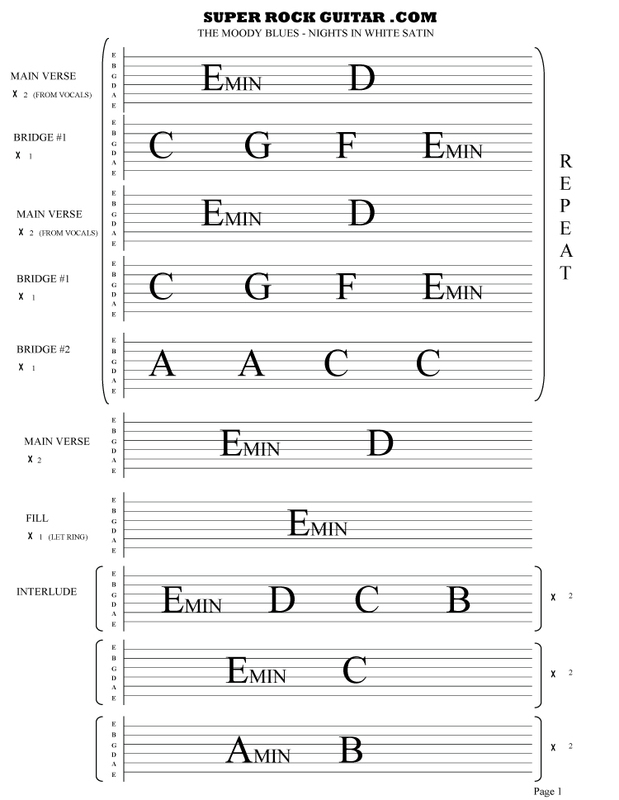 Here are all the chords in order , from the begining . Once you have got to the end of the page , the verse is simply repeated .